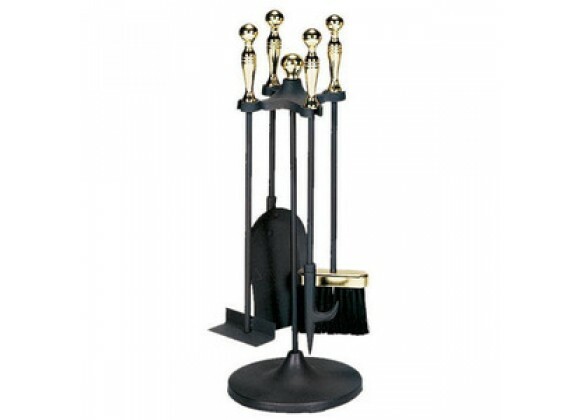 The UniFlame 5 Piece Polished Brass/Black Stoveset with Tongs - 22" H is as stylish as it is functional and features a luxurious black finish and brass ball handle accents. This five piece toolset includes a brush, shovel, tongs, poker and stand, making it easy to tend the fire. Includes 4 tools with Stand: shovel, poker, broom, and tongs. This set is black with brass ball handle accents. Will last through the years.